While the single-day admission ticket to Dollywood offers a good value, you can get an even better deal by purchasing multiple-day tickets for 2 or 3 days! For just a small additional fee, you can have a full extra day or 2 enjoying all of the thrilling rides, shows and attractions that the park has to offer. The other great news is that the multi-day tickets do not have to be used on consecutive days and are valid for up to 5 days after your first use! This gives you plenty of flexibility to see other Pigeon Forge attractions between your days at Dollywood. If you are planning a family reunion or other group vacation to Pigeon Forge, take advantage of the reduced group rate tickets to Dollywood! These exclusive discounts are available for groups of at least 15 people and can be purchased by calling the park at 1-888-428-6789. These discounted rates are not only available for Dollywood, but can be used to select a package deal that includes Dollywood’s Splash Country or Dolly Parton’s Stampede. For those folks who like to vacation in Pigeon Forge more than once a year, the season pass can often be the best value on Dollywood tickets! The season pass provides unlimited admission for an entire year so that you can attend all of the park’s exciting seasonal events, including the Barbeque & Bluegrass Festival, Harvest Festival and Smoky Mountain Christmas. There are also several bonus perks to owning a Dollywood season pass, such as exclusive ride time on the park’s thrilling roller coasters and other attractions! If you are an active or retired member of the U.S. military, Dollywood offers a reduced ticket price on a 1-day park ticket! This special offer is also available for disabled veterans and military, reservists, spouses and dependents. To receive this discount offer, simply present a valid military personnel ID and dependent ID at the front gate when you arrive to the park! Stay close to all of the thrills and excitement of Dollywood with a vacation at Mountain Melodies! Our affordable hotel is situated directly on the Pigeon Forge Parkway and is just minutes from all the top attractions in the Smokies! While staying with us, enjoy our comfortable rooms and awesome amenities such as a complimentary breakfast, free wireless internet access and a refreshing outdoor swimming pool! Check out all of our rooms in Pigeon Forge TN today to plan your vacation to the Smoky Mountains and take advantage of our tips to get the best deal on Dollywood tickets! 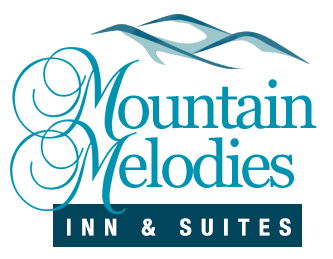 We hope to see you soon at Mountain Melodies!